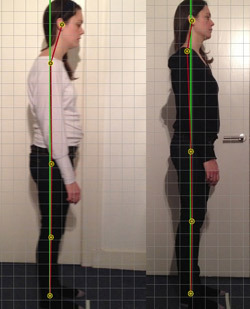 What would you think if I said to you that your posture can dictate how you think and therefore how you feel? Yes, I mean the position you sit in all day, the way you stand and present in a meeting or wait in a queue. Research has shown time and time again, and even in the natural world- the bigger you make your body parts ie. stretched out- the more superior you are…or the more powerful you seem. Think birds flapping there wings and gorillas standing up and beating their chests. That is on the outside BUT this happens on the inside too. Hormones expressing power and strength, testosterone and others indicating stress levels, cortisol were measured in a group of people before a ‘power pose’ think superman, and after standing in that power pose for 2 minutes. Just 120 seconds. In ALL candidates the testosterone had increased and cortisol decreased. Check this out on a great TED talk- click here. YOU don’t have a good posture? Head forward and shoulders rounded? Stomach sticks out? You have read this blog at exactly the right time!!! This entry was posted in Client Authored, posture specialist and tagged ABC, cortisol, Natalie Robertson, posture, Spirohealth, stress.